This yearbook provides the most complete account of 1930s labor events available for any region of the United States-- a day-by-day database of more than 600 strikes, protests, campaigns, and labor political initiatives occurring in the state of Washington from 1930 through 1938. 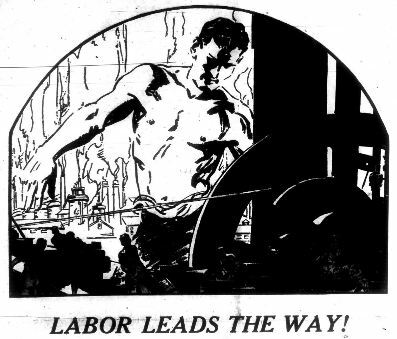 The 1930s proved pivotal for organized labor in the United States. The strike wave of 1934, passage of National Labor Relations Act (1935) and the organizing campaigns led by the new unions of the CIO brought millions into the labor movement and made it a central part of American political and economic life. Historians usually focus on the big strikes and organizing campaigns of that era, which in in Washington included the 1934 coastwide longshore strike, the 1935 timber strike centered in Tacoma, the teamsters' campaigns, 1936 Seattle PI newspaper strike, and the unionization of Boeing workers by the IAM. But there were hundreds of other organizing drives, strikes, and political initiatives undertaken by workers during the 1930s that have been forgotten. Here we expose that hidden history of labor activism and in doing so learn much about the breadth and diversity of the movement. Our research has uncovered campaigns by unions of all sorts, white collar and blue collar, large and small, including unions in some surprising job sectors (the Embalmers Union). Some of the most interesting involve workers in the entertainment industry: musicians, theatre workers, projectionists. Women workers struck Seattle's garment factories and organized unions in stores and restaurants. Filipino workers created the Cannery Workers and Farm Laborers Union and engaged in a long list of protest actions. We also follow the campaigns of the Workers Alliance, a union representing WPA workers and the underemployed. Below we present detailed information (including news articles) about hundreds of labor events in Washington State, arranged year by year in chronological order. Most of the information comes from the Washington State Labor News, a weekly publication of the state labor federation (AFL). For a few of the years this source is supplemented or replaced by articles from leftwing weekly newspapers (Voice of Action, Commonwealth News, Sunday News, Washington New Dealer). Each year is presented separately. Click the links below to see the full database of events and accompanying news articles and also to read a "labor highlights" report about the year.